These notes accompany a in-depth feature on California. 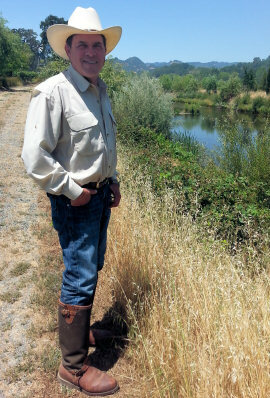 Please also see Regional report: California Dreaming: a trip through Sonoma, Napa and Mendocino. Driving up and up the winding road from the valley floor in St Helena, and it soon becomes obvious that Howell Mountain does what it says on the tin: Cade Estate’s stunning property sits at around 1800 feet of elevation, high above the fog line of the valley below. Cade is a relatively new operation, planted in 2003 and the first vintage released in 2007. It is part of a small group of wineries that also includes two other Napa properties, Plumpjack in Oakville and Odette in Stag’s Leap. Cade’s dramatic and beautful winery and visitor centre is a show-piece, designed by Mexican architect Juan Carlos Fernandez. Money has not been spared here, but then the Plumpjack group of wineries, hotels and restaurants was co-founded by Gordon Getty, heir to the J. Paul Getty fortune. Cade winery and vineyards. Click photo for bigger version. Just a touch (5%) new oak “to give it texture and mid-palate weight.” Very nice, fresh apple nose with a touch of tropical fruit coming through, with a lovely pithy lemony palate, lots of freshness. There’s a bit of phenolic character, but that gives a nice savoury grip. 14.2% abv. 87/100. For the estate wine 30% is barrel fermented and partly fermented in concrete eggs. Blended with a little Semillon and Viognier. Nice nose, with a mealiness but a cool apple and citrus fruit character, a touch of something herby, maybe sage, and the palate has lovely texture and a mouth-filling creaminess. Sells locally for around $40 dollars and only 300 cases are made. 89-90/100. A little Merlot and Petit Verdot, “mainly for aromatics,” says Danielle. 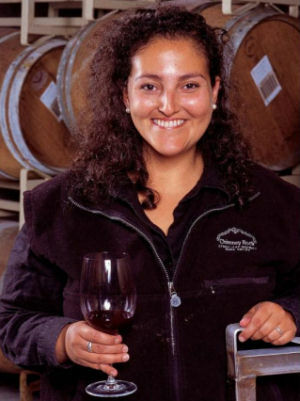 “We spend a lot of time managing the tannins in this wine, making sure I am not over extracting, as this is an approachable, ready to drink wine.” Fruit for this comes from Rutherford, St Helena, Oakville and other valley floor vineyards including the Beckstoffer Dr Crane. It sees 50% new French oak from several different coopers. Wonderfully juicy, fat and expressive creamy black fruit, a touch of menthol and lots of ripeness, though there is a pleasing touch of tomato leaf that just gives it a softening edge. Really juicy, delicious black fruit freshness and bite, a tart fruit-skin grip and savoury quality. The tannins are smooth, but just roughen things up enough to leave this easy to drink but with a bit of structure. Delicious wine. 91/100. $60 locally. Cabernet with 4% Merlot, aged in 70% new French oak. Much more restrained aromatically, deep and dramatically dark, a ripeness of fruit comes through, cassis and a deep, fleshy plum charcter, a touch of chocolate and a touch of mint. The palate is much firmer than the Napa Cuvée, liquorice and very tight fruit concentration, the tannins grippy but very supple and fine, and the acidity nice and natural with a tart blackcurrant juiciness and a touch of cocoa and endive. 92-93/100. $80 locally. 100% Cabernet Sauvignon, aged in 100% new French oak, Dianne makes a “very strict and serious,” barrel selection from the estate fruit, but three of the five blocks have emerged as the ones that make it into this wine, all clone 7 and 337. This has a great herb and slightly wild, garrigue note, but a fine meaty, meat-stock aromatic too giving a savoury depth. The blackcurrent purty of the fruit is there, and comes through beautifully, always retaining that juicy quality, the fruit-skin tart edges, the very supple, chocolaty tannins giving a smooth textural finish, and thenm a grippy, fresh finish. 94/100. 500 cases, sells for $300 per two pack, one in cork and one in screwcap. “We’re trying to convince consumers that screwcap is a valid closure. Feedback is 50/50 in favour of each,” says Danielle. See all stockists on wine-searcher. I met up with the Elizabeth Vianna (right), winemaker for Chimney Rock Winery, at the excellent Goose & Gander Restaurant in St Helena for a tasting before a very good lunch. Like several winemakers I met on this trip, Elizabeth did not start out wanting to be a winemaker, and in fact studied medicine in New York before deciding “I was a little too artistic for medicine,” and transferring to complete a postgraduate winemaking degree at UC Davies in California. As a child, Brazilian born Elizabeth split her time between Brazil and the US, but she married an American (whose grandfather, she told me as an aside, once played football for Arsenal). Chimney rock was established 30 years ago in the Stag’s Leap district of Napa. “Stag’s Leap is in the south of the Napa Valley,” says Elizabeth, “and is one of the cooler areas. And we are against the Eastern hills, where our soils are mostly volcanic, and pretty wonderful for Cabernet.” Indeed the estate is focused on Cabernet and the other Bordeaux varieties, including Sauvignon Blanc for white wines and with recent plantings of Malbec giving all five red wine grapes. “We’re an estate winery,” Elizabeth tells me, “using only our own fruit which we farm sustainably. The winery is 100% solar powered, and we use recycled water from Yountville for vineyard irrigation – we’ve being doing that for over a decade.” Learning that I had recently returned from a trip to South Africa, Elizabeth also surprises me by revealing the Chimney Rock’s winery is built in the traditional Cape Dutch style of architecture, the dream of the original founders Hack and Stella Wilson, who brought their love of wine and South African winery architecture to the Napa Valley in 1980. 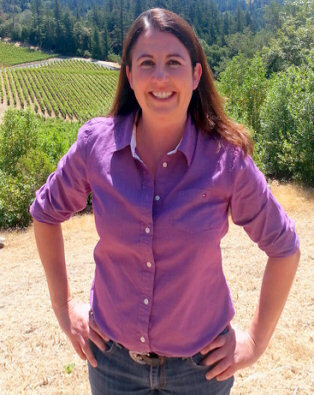 Elizabeth has been here as winemaker since 2002, surviving the change of ownership in 2004 when the estate was bought by the Terlato family, significant players in Napa, California and further afield with their Terlato Family label and various other brands including joint ventures with Michel Chapoutier in Australia and with Il Poggione in Italy. It was at first surprising to see a 2007 white on the table, a blend of Sauvignon Blanc and Sauvignon Gris. But Elizabeth explained it was “Made to the European palate,” and “somewhat modelled after Bordeaux’s Haut-Brion Blanc,” which is apparently the favourite white wine of the estate’s owner. The wine is fermented one third in new barrels, one third in used barrels and one third in stainless steel barrels, with eight different yeasts employed to build complexity. Nice wild ferment character and a touch of complex herb and wild, gently earthy character. Lovely. Juicy quite serious palate, fantastic texture in the mouth with a palate coating dry, savoury character, the juicy lemon and nutty apple coming through. 90/100. Sells for around $39 locally. The blend was 72% Sauvignon Blanc in this vintage. A touch of mineral saltiness, a touch orange. Very juicy, with a sweet fruit intensity and character. Juicy, quite serious palate, fantastic texture in the mouth with a palate-coating dry, savoury appeal, the juicy lemon and nutty apple character pushes through to a long finish. 90/100. This is the estate’s biggest production and comes from parcels across the estate. Very attractive nose with a sprinkle of cedar and pepper, of gaminess too before very direct black fruit. A real cassis intensity and then coffee comes through against a big, fresh juicy fruitiness. The refined smoky oak is lovely too – well tempered and settles nicely with the structure of the wine – very good balance here, the tannins noticeable but refined. 91/100 $65. 100% Cabernet Sauvignon, aged in 70% new French oak “But I’m not big on too much oak,” says Elizabeth, “I tend to use three-year air-dried wood.” This has a delightfully softened edge to the aromatics, just a meaty touch to plummy, ripe fruit. The oak very nicely judged, sitting in the background. Fantastic black fruit intensity, a really creamy concentration with a sharpening tug of acid and supple tannins giving structure. Lovely, and very fine. 93/100. $160 locally. One of the coolest vintages of the decade, “Originally dismissed by critics,” according to Elizabeth, “but has turned out some great wines.” This has 8% Merlot but the vintage was too cool for the other Bordeaux varieties. Delightfully cool and racy, plenty of cedar and tobacco and a real raciness to the black fruit. Tight and mineral flecked cassis drives this. Bursts with juicy life on the palate, silky fruit and tannins, the juicy black cherry acidity is beautifully resolved. The wine is drinking perfectly and is elegant whilst revelling in black fruit intensity. 92-93/100. $85 locally. 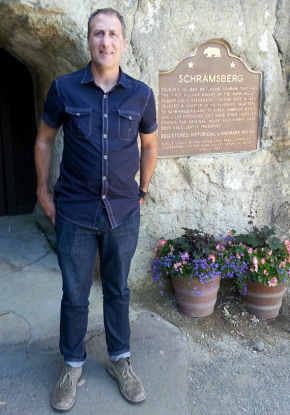 Schramsberg is one of California’s best known names, their portfolio of excellent, traditional method sparkling wines provide the pop and fizz in many a celebration, and their miles of old caves dug into the Diamond Mountain are a major visitor attraction in the area. What many drinkers of Schramsberg may not know is that the company also produces red Bordeaux-style wines from the vineyards around the sparkling wine cellars, which appear under the J Davies label. Schramsberg’s 40-odd acres of vineyard spread across a lovely old 200-acre farm. The operation is Napa Green Certified, and entirely solar powered. Standing looking over steep slopes, PR Manager Matt Levy tells me “Because of the steep slopes we must use some chemical sprays, we can’t work them by hand or horses, so we are sustainable but not organic.” It takes a little moment for it to sink in that the vineyards all around the winery do not produce the fruit for the wines being made there: “This property in Diamond Mountain is too hot for the Chardonnay and Pinot we need for sparkling,” says Keith. All of the vineyards are Bordeaux varieties, destined for the J Davies label. Another celebrity of sorts, President Richard Nixon, also boosted the fortunes of the company and the whole sparkling wine industry in Napa when he took a bottle of Schramsberg to China in 1972 on an official visit. The bottle made front page news, and soon the Champagne houses took an interest in the valley, leading to the foundation of Domaine Carneros (Taittinger), Mumm’s Cuvée Napa and Domaine Chandon. Today’s portfolio of sparkling wines is very impressive. Across the range, around 25% sees barrel fermentation and malolactic depends on the character of the vintage season. The top cuvée, J Schram, ages for six years and can be as much as 40% barrel fermented. 100% Chardonnay. Lovely bright, apple and yeasty nose, with a touch of brioche and a nice zestiness about it aromatically. Real feeling of sweetness on the palate (though it has a Brut level of dosage) with, a delightful length and ripe fruit filling the mouth, but then a big core of pithy lemon and dry apple that keeps it really fresh in the finish. 88-89/100. $37 locally. Around 40% Chardonnay, along with Pinot. Small lots of Pinot made as a red wine and blended. Fine peach and light salmon colour. Bright, summery character, with touches of strawberry and cream. The palate is nicely dry and has that touch of pleasing sour cherry and lemon giving it very dry, savoury character. The sweetness of the fruit, the strawberry touch is lovely. Fresh and lively stuff of lovely quality. 89-90. $42 locally. Mostly Chardonnay, with around 10% Pinot Noir, aged for 6 years. Lovely deep, Champagne-like yeast and autolysis nose, bruised fruit to the fore, huge lemony core, it has that sweetness of the fruit ripeness again, and extra bruised fruit and gently toffeed depth, but has lovely sour grapefruity tang in the finish. Deliciously long. 92/100. $110. Only around 3,000 cases of this and the Reserve are made. Blanc de Noir style, but there is around 25% Chardonnay in this vintage, normally only around 10%. Big autolytic nose, lots of nettle and bruised fruit, a really nice savoury character. There is terrific fruit on the palate, but it is much racier and more serious, with great concentration and a decisive core of pithy grapefruit that drives it, just a flattering touch of sweetness and creamy oak character that rounds out the finish. 93/100. $110. A blend of 87% Cabernet and 13% Malbec aged in 65% new French oak. A nice bit of lifted, gently floral Malbec character, there is a bright, sparky cherry and violet touch to the nose over tight black fruit and a touch of mint. The palate has huge presence, with a creamy, fat black fruit sweetness, filled with juicy black fruit, the tannins are extremely smooth, extremely chocolaty and creamy, the buoyant quality of the fruit and the elegance of the tannins make this both easy to drink but not lacking the structure. 92/100. $80. 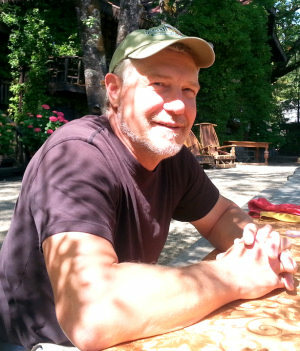 Chris Phelps is the perfect man for the job at Swanson, Napa’s true believer in the Merlot grape. After working at Château Pétrus in Bordeaux and then spending 12 years at Dominus in Napa under the tutelage of Christian Moueix, he certainly straddles Old and New World philosophies, and the Merlot grape has been a constant companion. The Swanson story began in 1985, when Clarke Swanson purchased a 100-acre property on Oakville in the heart of the Napa Valley. Swanson obtained the services of the 84-year-old André Tchelistcheff as a consultant. Tchelistcheff is an almost legendary figure in Californian winemaking, having been born in Russia, studied winemaking in France, and then coming to the USA in 1938 to take over as winemaker at Beaulieu Vineyards. 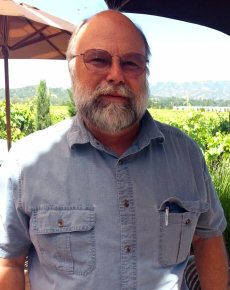 With Tchelistcheff’s advice they planted Merlot in the heart of Cabernet country, but the strategy seems to have been correct, as Swanson carved out an excellent reputation for its red wines. 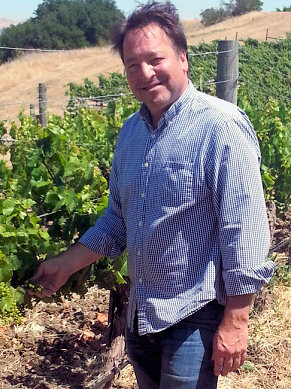 Chris does not adjust the acidity of his wines, and says “If the fruit is picked when it is physiologically ripe and balanced, intervention through winemaking techniques is minimized.” Swanson’s vineyards are on the valley floor, with clay loam that is alluvial in nature, laid down as sediment from frequent historical flooding from the San Pablo Bay. The vineyards are planted using “a variety of rootstock, clones, spacing and trellis systems,” and as well as Merlot and Cabernet Sauvignon, there is a wide variety of plantings, from Sangiovese to Semillon and from Petite Sirah to Pinot Grigio. A Napa Valley designation for this wine which has 10% Chardonnay in the blend, all fermented in stainless steel. It has appetising, fresh pear and apple aromas and a touch of yeasty quality. The palate has a hint of apparent sweetness, but that’s just ripe fruit hinting at the tropical. Fine textural palate and good length and a crisp, lemony, moreish finish. 88/100. Napa Valley designated again, this is a brand new wine designed to pour by the glass on premise. As well as Swanson’s own Merlot, is has 22% Cabernet Sauvignon from Howell Mountain and Calistoga in the blend. Very attractive nose, with a touch of ash and cedar, the light earthiness is there against very good fruit. Plenty of spice from the oak. Lots of smooth chocolate richness, with cedar and gentle tobacco. Cherry and savoury flavours on the palate, the juiciness is there along with spice and cedar. 89/100. Deeper aromatically than the Cygnet, this has 20% Cabernet Sauvignon and 5% Petit Verdot in the blend, a beautifully silky character, sonorous black cherry and plum and there is such gorgeous fruit and roundness, but real precision too. 91/100. Around $38 locally. So named because “tasting it transports you straight to Napa wherever it is drunk.” Blended with 11% Merlot and 7% Petit Verdot, aged 22 months in all French oak, 50% new. Signature nose, smoky, tobacco again and that pencil shaving, graphite sophistication. The Petit Verdot adds spice and touch of something peppery. On the palate that beautiful balance a little grainier and more linear than the Alexis, but so nicely done. 91-92/100. $60 locally. 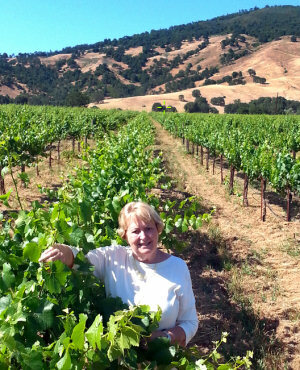 Rocca Family Vineyards is owned by Mary Rocca and Eric Grigsby, both professionals from a medical background, though Mary gave that up to devote herself to Rocca Vineyards when they purchased their initial 21 acres in 1999. Today that original vineyard – the Grigsby Vineyard – is joined by the 11-acre Collinetta Vineyard which is sited in California’s newest AVA, Coombsville, close to the city of Napa. 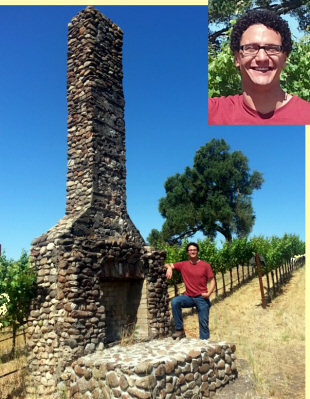 That’s where I met up with winemaker Paul Colantuoni (right, beside the old chimney that has become a real landmark in the middle of the Colinetta Vineyard). Paul grew up in Belgium, having moved there at age 13. “My dad loved St Emilion,” he tells me, “we drank it week in week out,” which was clearly a precursor to Paul’s career. “I remember driving our Renault Espace to Burgundy too. Dad would fill it up with wine and we’d drive back.” Like many of the winemakers I met on this trip, Paul started out on a different path, studying Chemical Engineering and Molecular Biology with a plan to become a doctor. But after three years he dropped out and moved to Italy. There he would visit wineries through connections in the industry there, and when he returned to California it was to take a degree in Italian. He has no degree in winemaking. With 2% Cabernet Sauvignon, and spending 17 months in small French oak, 60% of it new. Bright, light, gently leafy stuff with a real lift and brightness, cherry and lighter red plum style. Deliciously juicy, love the sandy sophistication of the tannins, and though there is a little touch of oak showing through, it has great sophistication. 89-90/100. $50, 174 cases. This also spent 17 months in barrique, 55% new. Lovely nose, a red cherry and touch of raspberry, a little hint of vanilla and just a sprinkling of white pepper giving a little lift. Great blue/black fruit purity here, but it retains that bright Morello cherry juiciness. Quite grippy, the tannins tight and a give a touch of rasp to this, but the chocolate smoothness is delicious and moreish. 90/100. $50, 262 cases. With 10% Merlot, this spent 20 months in French oak, 75% new. Very refined nose, a touch of graphite and a touch of juicy black plum; fleshy and tart, the squirt of juicy blackcurrant is there too, nice and fruity but with a toasty background. Juicy and creamy, this has a plush fruit personality, but the rasp of the bittersweet blackcurrant is delightful, ruffling the surface of the pure fruit. Long and spicy, but finishing nice and fresh. 91-92/100. $80, 469 cases. Will be under the Coombsville AVA in future after this new appellation was created 18 months ago. 100% Cabernet Sauvignon, this spends 20 months in barrel of which 80% are new. Huge, gamy, sage and truffle scented stuff with a thick black fruit beneath, the meatiness of the wine is delicious and this has loads of personality – so different from the Grigsby. The palate has a weight of creamy black fruit. The oak sits so nicely in there, suffusing the wine with smokiness and a touch of char, but the chocolate and liquorice grip of the tannins and acidity give this an edge, that meaty weight of fruit powering the finish. 93/100. $85, 420 cases. Napa valley Red Wine, “To allow maximum freedom to choose whatever fruit we want.” 100% Cabernet Sauvignon, this spends 20 months in all new French barriques. Cedar and graphite, a touch of tobacco. IN this year the fruit is all from Grigsby, but purely old vines in the vineyard. Has some meatiness and a touch of smokiness, but a welterweight of delicious black fruit too. Fantastic plum and blackcurrant weight of fruit, so creamy, but has structure too. Lovely sweet fruited ripeness, and richness, the dry extract is beautifully handled, just roughening enough amongst the plushness. 94/100. $145, 126 cases. I turned up at Saintsbury a little early for my appointment, so was immediately handed a glass of chilled (and deliciously refreshing) rosé and led to a seat in Saintsbury’s charming tasting garden (below). It was an idyllic few minutes in the Californian sunshine, to be followed by an amusing and fascinating couple of hours in the company of David Graves, Saintsbury’s co-founder. 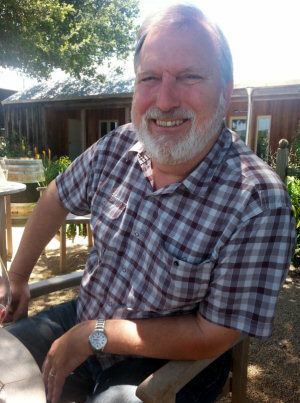 David and partner Richard Ward met at UC Davies in the 1970s, and by 1981 had founded Saintsbury in the Carneros district, expressly to make Pinot Noir and Chardonnay. The vineyard immediately in front of the winery is one of the oldest trellised vineyards in California, viewed at the time as “a whacky, radical thing,” according to David. “Before that, everything had to fit the tractors we had, so 12-foot spacing between rows was the norm.” It is wonderful to sit down with one of Napa’s pioneers, especially a guy like David. Saintsbury is not flashy, not corporate. It has a friendly, family feel and as David shows me old black and white photos of Richard and himself, standing swigging a cool beer in front of the winery, it is obvious that this is indeed home, and it appears that nothing much has changed in 30 years. The tasting garden. Click image for bigger version. David seems like a guy with a lot of integrity and the winery setting and vineyards reflect that. The farm is sustainable with owl boxes now home to four barn owls who help control gophers, and bird boxes to attract specific birds to control insects. “Sustainability is just something everybody thinks about now,” says David. “We now assume that we will use compost to condition soils, we assume that we will be fish friendly and not wash effluent into the rivers and we are taking care of erosion. It’s just what we do.”. From the Anderson Valley in Mendocino, a Pinot hot-spot, this cuvée has been made from purchased fruit since 2005. “We need to change the winemaking a little for this wine,” David tells me, “Because the fruit from this vineyard has such a high skin to juice ratio that it could easily be over extracted.” It has a very nice colour. Nice aromatics too, with a touch incense and bright cherry and floral notes. The palate has lovely sweet fruit, the burst of creamy strawberry and cherry is delicious, soft tannins and extract, but very well balanced. The fruit is harvested at night and trucked down 1.5 hours to Carneros. 89-90/100. $54 locally. This vineyard is one of the oldest in the appellation, and has a long term relationship with Saintsbury. A little more depth of colour, more rhubarb and beetroot, more of the vegetal Pinot character. On the palate the fruit is really good, with lots of juiciness, cherry and a touch of rhubarb, delicious balancing oak adding creaminess and a juicy tannin and acid structure. 91/100. $54 locally. A sloping site that faces west, planted around 1999. The farm was bought as a dressage paddock but this slope was just too steep, so it was planted to vine. Delicious and quite pale colour, with a beautiful nose, the truffle and undergrowth side of the Pinot coming through delicately and beautifully, with more beetrooty character, hints of orange and rose-hip fragrance. The palate has a lovely lightness, but silky too, with a nimble character, the floral and juicy, lifted tones carrying through onto the palate. Juicy, citrus and endive twist of bittersweet acidity that is so refreshing. Just a beautiful Pinot. 93/100. $54 locally. The estate wine. Really tightened up again after that open, leafy fragrance of the Toyon and interestingly, the two vineyards only 500 metres apart. Tighter, juicier aromatics, some cherry and blackcurrant, spice and a touch of tobacco. Lovely earthiness on the edges of the palate, though that firm, more decisive and savoury, cassis and plum skins giving depth and structure. Does not lose sight of the freshness and energy that hallmarks these wines. 92/100. $72 locally. Delicious nose here again, the beetrooty and vegetal focus of the wine is diffused beautifully through the ripe berry and bramble fruit. There may be a little less fruit intensity, a little less of the mid-palate sweet fruit concentration than in the Brown Ranch for example, but is has a wonderfully sappy, pleasingly savoury quality with both excellent fruit and a nice bit of structure and texture. 90/100. $36 locally. Just over the hill from Saintsbury, Cuvaison’s stunning 350-acre estate is almost all planted to Chardonnay and Pinot Noir, with little pockets of Sauvignon Blanc. Steve Rogstad (right) has been making the wines here in Carneros since 2002, and we met in their beautiful tasting room with its broad porch and sweeping vistas over the gentle folds and rolling slopes of their vineyard before taking a 4×4 tour of some of the more elevated blocks. The views to the distant golden gate bridge alone make it worth the effort. Clos Pegase’s portfolio is a varied one including Pinot Noir and Chardonnay, and after six years there, Cuvaison approached Steve to first of all shadow, and then replace winemaker John Thacher, who had made the wines here for 25 years. Founded in the 1960s, the large winery and extensive visitor facility in Carneros, right in the middle of Cuvaison’s oldest Pinot and Chardonnay vines, is a fairly recent investment. This is an estate winery, using only fruit from its own vineyards. “We’re not looking to grow our brand on volume,” Steve tells me. “In the early days there really wasn’t such a focus to the Cuvaison brand, but today the focus is definitely on Carneros and on Chardonnay and Pinot Noir. Not in the UK as yet. All from old Wente clone selection of 13 year old vines, spends 15 months in barriques, 50% new. Comes from organically farmed blocks. Apple and succulent, wheaty, lightly toasty nose, with a breadiness and light oxidised quality that adds a bit of steel to the core, a dry apple core acidity and a nice spice broadening the finish. 90-91/100. $36, 1200 cases. Nicely edgy, gently beetrooty, with a firm red fruit and delicious on the palate, the sweet and full fruit is concentrated, very fine coffee and spice finish, quite a big Pinot but has delicious balance and a freshness in the finish with that hint of rhubarb adding a dry savoury quality. 89/100. $35, 3500 cases in this very small vintage – normally around double this. Made from Dijon clone 115, and coming from the slope right outside the visitor tasting room. 15 months in small oak, 50% new. Quite a deep, concentrated colour. Very nice deep nose, lots of earthy, warm, autumnal qualities here, with a touch of briar and wet autumn leaves. On the palate the fruit really bursts through. Proper Pinot silkiness, ripe, creamy red fruit and a the spice and hint of chocolate in the finish nicely set off by the sweet, fine tannins, juicy orange acidity and that hint of rhubarb again. 92/100. $48, 500 cases. With 4% Petit Verdot, 1% each of Malbec and Cabernet Franc, this spends 22 months in small oak, 50% new. Chocolate and mint over black fruit ripeness, but there is a hint of something cedary and almost incense-like. Big, juicy fruit hit on the palate, really mouth-filling sweetness and glossy ripeness, but there’s a some keen, tart, lip-smacking acidity and tart fruit skin crispness to keep it fresh, Long and creamy, the oak and the hint of alcoholic heat making it a robust and chunky wine in some ways, but such delicious fruit purity. 91-92/100. $55. The blend here is 75% Cabernet, 11% Petit Verdot, 13% Malbec and 1% Cabernet Franc which spends 22 months in small oak, 75% new. Adds a level of glossy, deep, creamy oak, but also a more smooth and intense fruit plushness, with a touch of nice aromatic lift. The palate has a luscious concentration of cassis and ripe, fleshy blackberry fruit: the lovely bittersweet edge of the tannins and skins, the light grippiness and good cherry acidity are all there, then the coffee and chocolate richness of the oak fills in. Long and deliciously supple and filled with flavour. 93/100. $100, 600 cases. 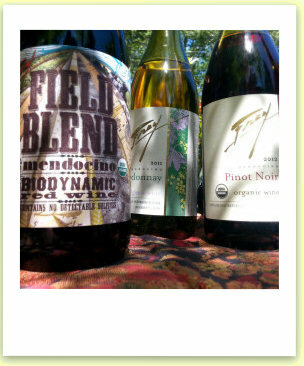 My first appointment in Mendocino was at Frey Vineyards. Tucked away at the head of the Russian River, the winery is so remote that the Mendocino growers association sent a minder to meet me off the highway and lead me there in convoy. They needn’t have worried – my GPS knew where Frey Vineyards is situated – more or less. Frey is a pretty magical place. Sun dapples through towering oaks across the garden and picnic area in front of the old wooden winery (made from reclaimed timbers naturally). Matriarch of the family, 84-year-old Marguerite Frey, tends to the roses and shrubs. A rag-tag assortment of dogs, children and passing wildlife gives movement everywhere, and on my visit a whole class from a local school was there, learning the basics of vineyard management. Mendocino’s growth was slow until Napa took off in the 60s. Jonathan’s father Paul was living here at the time and was advised by pioneering winemaker John Parducci to plant Cabernet Sauvignon. But there was an ulterior motive: the government had just announced a new dam project that would have flooded the Frey land, so the canny pair decided the compensation would be much higher if there was a premium crop planted there. The dam never happened, but the vineyards survived with the family deciding to make an bottle their own wines in the 1980s. There are 20 acres planted around the home estate, but Frey also buys fruit from 20 growers. There are 7,000-foot mountains just near the winery, and Jonathan says his Chardonnay and Pinot vineyards in particular benefit from the afternoon cloud and cooler conditions they bring. Indeed, Jonathan says he has seen conditions get a lot cooler over the past 15 years: “I’m not sure if it’s global warming, but the spring weather has changed and has got a lot colder and wetter.” Unlike so many estates where to farm organically or biodynamically seems to be partly a business-led decision, it is clear that the Freys live and breathe it. Even their $7.99 range made for the Wholefoods chain is organic, sulphite and additive free. Their little piece of heaven, where bobcats and mountain lions are just some of the regular visitors, is constantly being tweaked in aid of the cause. They grow legumes and grasses as cover crops and fertilisers, and are planting barley and wheat to feed back to their cattle as a forage crops. The charm of the Frey Vineyards farm certainly worked its magic on me during my few hours there. And I have to say the value for money in their low-priced wines is exceptional. Maybe we too can share a little bit of the Frey Vineyards magic. Mostly from neighbouring Potter Valley, this has a lovely pale cherry colour, and a delicately spicy nose with touches of herbs and vegetation, and a delicate cherry fruit quality. The palate has delicious fruit and raciness, a really nice crispness to the acidity and raspberry and redcurrant fruit. Really nice wine, a touch of creamy oak quality just adding rounding depth to the finish. Delicious Pinot at around $18. 89-90/100. More closed aromatically than the Pinot, with a solid earthy note as well as a taut, blue/black fruit quality coming through. The palate has a deliciously silky texture and a lovely flavour profile, a bit of chocolate and a deep blueberry and plum fruit. Fine tangy plum-skin rasp of tannin and acidity gives some bit in the very dry, savoury finish. Terrifically impressive again at $14.95. 89-90/100. Classified as a Red Table Wine. Typically Carignan and Zinfandel goes into this, their non-vintage blend and the cheapest wine in their portfolio selling locally for $7.99. Pleasantly creamy raspberry nose, a touch herbal, a nice cherry freshness. There is a bit of rustic grip, and certainly a less refined wine, but what good bangs per buck and not veering into jammyness or clumsiness. 85-86/100. Barra’s striking winery and visitor facility pulls in a lot of visitors. Not only is the large circular building a landmark in the area and very visible from the highway (“Built in the shape of an upside down champagne cork,” according to Martha Barra), but it is the setting for many of the county’s most popular wine and food events including wine, beer, food and music festivals. Begun by Charlie and Martha Barra (right) in the 1990s, Barra of Mendocino may be relatively new, but now in his 80s, Charlie Barra’s association with grape farming in Mendocino goes back much, much longer. His parents immigrated to Mendocino from Piedmont, and it was in 1945 whilst still a schoolboy that the young Charlie leased a vineyard and came to an arrangement with his school that he’d attend classes in the mornings and farm in the afternoons. He continued growing and selling grapes until the couple bought the current winery in 1995. Charlie was resting at home on my visit, so Martha took me in her little red truck for a tour of their vineyards. Their 175 acres have been certified organic since the late 1980s, and only estate fruit is used in their wines. Their entry Girasole label accounts for around 20,000 cases annual, 10,000 of which is Pinot Noir, whilst the total production for the Barra estate wines is around 5,000 cases annually. “Has a little oak from inner staves at this level,” says Martha. Just a touch of hazelnut, and then the palate has a very fresh appeal, lots of orchard fruits, lots of apple and a touch of minted melon. Finishes dry, or is there just a touch of RS? 86-87/100. Barrel fermented and aged, Fairly muted on the nose – not so much muted as not expressing a terribly distinct character. Some nuttiness and a touch of toast in the background. The palate has lots of apparent sweetness – perhaps a touch too much, certainly it is an impression of sweetness. 86-87/100. Made as a run-off from making the Barra Pinot Noir. Soft, gentle cherry colour, with a rose-hip and soft strawberry, and there is a fair amount of residual sugar to soften and flatter the finish. 85/100. Lovely delicate Pinot colour, lightly earthy and a touch herbal, some dry redcurranty fruit. Nice fruit on the palate too, with good balance and very drinkable. 86/100. This has a bit of toast, a richer fruit profile, and spicy, with a deeper red fruit character. Much richer mouthfeel, with plenty of weight and richness, a little rustic tannin feel, but good expression. 87-88/100. Very nice soft custard and tobacco-scented nose, with possibly just a touch of TCA, and that flattens the finish a little. Extra intensity and weight here, with the fruit profile really ramped up, showing a deep plum and cherry richness, a fleshiness, and finishing with a touch of spice and tobacco. 88/100. “Because of where we grow our vines our wines can age and age and age,” says Martha. Big, rich and open nose, with lots of smoky wood quality, and lots of vanilla, there is a softness and richness on the palate, with tannins almost fully resolved and a soft finish. Delicious, perhaps ready to drink up. 87/100. Cabernet Sauvignon , Syrah and merlot. Very direct, fresh black fruit, a touch of graphite, a very glossy appeal to this with lots of flattering cassis and a touch of chocolate and coffee. Fresh and juicy, it’s a blend that really works well, playing to the strengths of the blend to make this one of the round and richer wines in the red Girasole range. 87/100. There’s a curranty sense of over ripeness here, with the keen black fruit, and there is a nice dry, lightly ashy/earthy finish. 86-87/100. Very attractive, big and bold and a touch ashy/lifted in character, with a touch of floral character and plenty of blue/black fruit. On the palate this has massive fruit, plenty of sweetness and intensity, a fine blueberry and damson fruit, deliciously drinkable, big, not hugely sophisticated, but delicious. 88-89/100. 12% alcohol. Very fine Muscat and floral, leafy green herb aromas, The palate is just off dry, with a very nicely fresh finish that makes it lovely and summery and easy to drink. 86/100. Nice nose, mocha and sweet damp earth, with small touches of floral character coming through too and a touch of tar. The palate is pretty simple, but has a nice easy drinking appeal. 87/100. Just south of Redwood Valley in Ukiah, Parducci has just celebrated 80 years of making wine. It is Mendocino’s oldest winery, and a rare wine business that survived prohibition. But a series of legal and business tussles with investors in the 1990s meant that the Parducci’s finally lost control of the business, and there followed a period of declining sales and declining quality. Step up another family, the Thornhills, who in 2004 bought the business. Texan brothers Tim and Tom Thornhill along with their father, have since been steadily improving and significantly growing the business, whilst at the same time adopting an all-out push for sustainability. I met up with Tim Thornhill (right) and long-serving winemaker Bob Swain for a tour of the property. From the moment Tim Thornhill strode into the room complete with Wrangler jeans and Stetson, it was clear that this operation does very little by chance. Tim sat me down for a well-rehearsed slide show that explained where he had come from, and just how seriously he is taking the task of turning Parducci completely green. 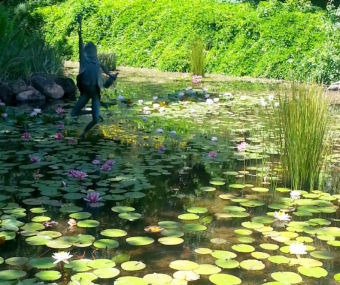 He didn’t start out in wine, but had been “A glorified landscaper,” he says. 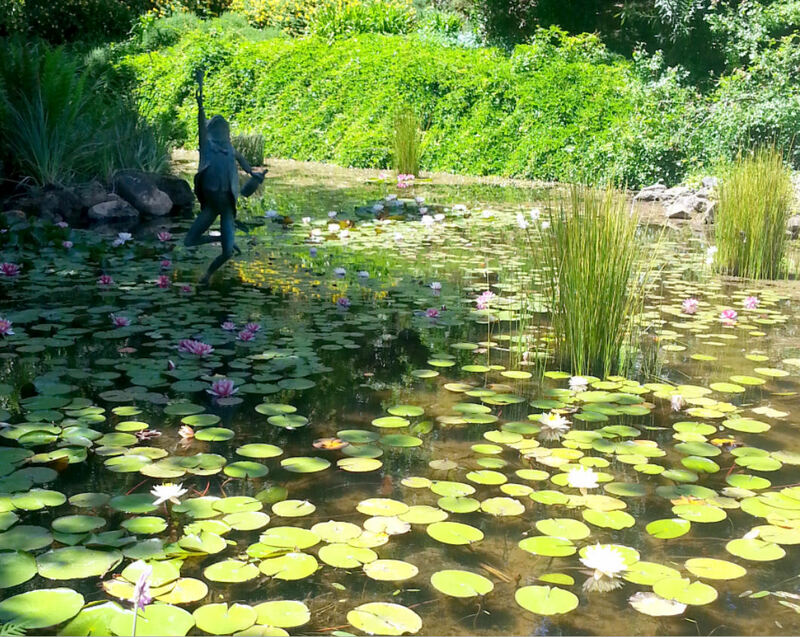 In fact his landscape gardening business was hugely successful, with Walt Disney World in Florida becoming his largest account and the business developing into creating extensive botanical gardens for some extremely rich private clients. A specialism in “moving very large trees,” developed too, and some of the photographs Tim showed me, with his team of 300 men moving enormous trees across the country, were truly mind-blowing. “I built fantasies for other people,” says Tim. 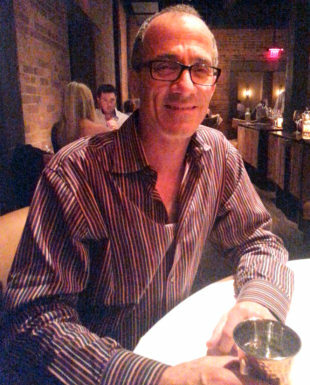 Tim tells me that it was a wish to reunite his family spread around the US from New York to Texas to California, that was a motivation to put down roots, and which led to the family purchase of Parducci. Today, production is back at 200,000 cases and the workforce has doubled from 35 to 70 employees. But it is his environmental success that obviously brings Tim most satisfaction: “We are growing the business whilst minimising its consumption,” he tells me. “Water use has reduced by three million gallons per year, purely by watering when it’s needed, not according to a schedule.” He has also cleaned up ponds that had once run red with winery effluent, via natural organisms that eat the waste. Many clever ideas obviously borrow from his landscape and horticultural experience too: “Water is re-oxygenated by waterfalls that mimic what goes on in the rocky mountains,” he enthuses, “and we’ve constructed a wetland that emulates the everglades.” Tim Thornhill is a force to be reckoned with, but winemaker Bob Swain, left, is just the man for this job. Having survived many tribulations in his 16 years at Parducci and years at Clos du Val before that, he gets on with the wines in a quiet, assured way. Below: an ingenious water-oxygenating waterfall built by Tim Thornhill from the recycled remains of an old concrete mixer truck. Apple and lemon, a little bit of citrus rind character, with a big, pithy dry palate, the grapefruit has a squirt of juiciness that is very food friendly. 86-87/100. Limpid, expressive fresh pear nose, a touch of Muscat and Sauvignon Blanc tweaks the aromatics, the palate has fresh pear, with good acidity and a nice stripe of acidity, a grapefruity, fresh and pithy finish. 86/100. Orange and oatmeal, a good sunny ripeness to this, with lots of nectarine, ripe apple and pear and an oatmeally, richness. Very sweet mid-palate fruit, perhaps a touch too sweet as it finishes, but has a lovely juiciness and clarity that makes it attractive and very easy to drink. 86/100. Nice, delicate Pinot, a touch rhubarb, a touch of beetroot, with good bramble and berry fruit beneath. Very nice palate too: juicy and fresh, with a smack of cherry and rose-hip freshness, this punches above its weight for a $12.00 wine. 87/100. A touch of Cabernet and of Syrah in the blend. Good Merlot nose, a touch of tomato, but very nice red plum fruit. Very nice palate with good, ripe and creamy sweet fruitiness. Easy to drink, with a dryness in the finish that I like. 86/100. Touches of Merlot, Cab Franc and Petit Verdot. Nice touch of ashy, lifted smoke and cedar edged brightness to this, with very nice fruit, a bit of sinewy structure, with a juiciness and very good cabernet character – cassis and a note of cedar again in the finish. 87/100. Almost all Cabernet with a touch of Petit Verdot. A vineyard selection, this has a creamier and deeper profile, a little more concentration obvious, with a touch of liquorice and a touch of blackcurrant juiciness. A nice medium-bodied Cab, very pure black fruit too, the tannins more refined, more supple. 89/100. $20 locally. Beautifully blue-black fruited, a touch of cedar and a touch of tobacco, with a little floral lift too, it has plenty of dry substance, a lot of drying cedar and good acidity. Lovely wine, big but not overpowering. 87-88/100. A selection of fruit, better barrels. Huge, deep, coffee and mint nose, of deep and plummy fruit and chocolate rich. An incense wreathing smokiness. On the palate good fruit: the tannins are big but resolved and this has huge, delicious wine, with massive tannin presence but the copious fruit with its abundant sweetness copes with it. Delicious. 90/100.